In 1900, the Seattle area was simpler, life was less complicated, and travel was slower. Imagine life without automobiles or airplanes, without floating bridges, and with few paved roads. People relied on their feet, horses and bicycles to get around the city and they took trains and Mosquito Fleet steamers to reach more distant points. To get from Seattle to communities on Mercer Island and the eastside, you had to cross Lake Washington and the easiest way was by boat. To meet this need, small passenger ferries made regular runs around the lake, transporting foot passengers from community to community. Most of these passenger ferries were relatively small (60 to 80 foot) propeller steamers, built of wood and powered by small steam engines. With this history in mind, in 2002, SCRET set out to explore and document three new sites in Lake Washington. The sites were located by Robert Mester using side scan sonar. 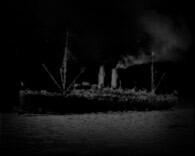 From the side scan images, we knew the targets were the remains of ships, approximately 60 to 80 feet in length. We also knew the depth of the targets and how much they rose above the bottom, but nothing else. To explore and document these sites required SCRET divers to visit the targets and video the remains of these vessels. So, why are these underwater wrecks significant? In the United States today, there are only two operating, steam-powered wooden-hull passenger ships from the turn of the century time period. 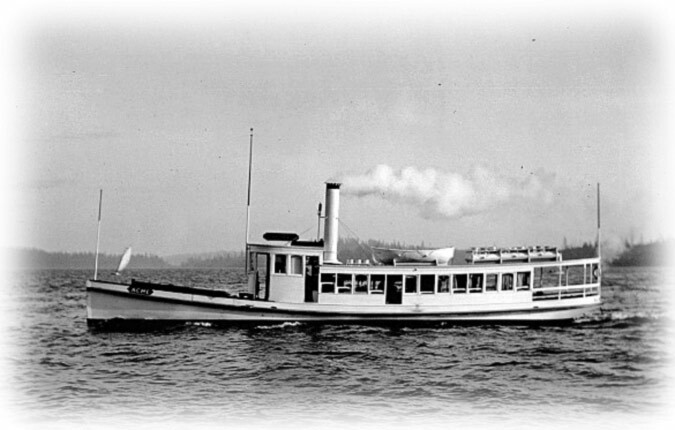 In Seattle, there is only one steam powered survivor of the Puget Sound “Mosquito Fleet” – the Virginia V. Vessels built during this time period were constructed principally from models and wooden patterns. Few models or patterns survive. Furthermore, the men who built these vessels rarely explained their skills in formal writing and thus crucial information regarding their design and construction rational has been largely forgotten. It is only through the documentation of surviving ships and shipwrecks that we can recoup some of this important technological history. In addition, the study of these vessels teaches us the history and culture of the time.